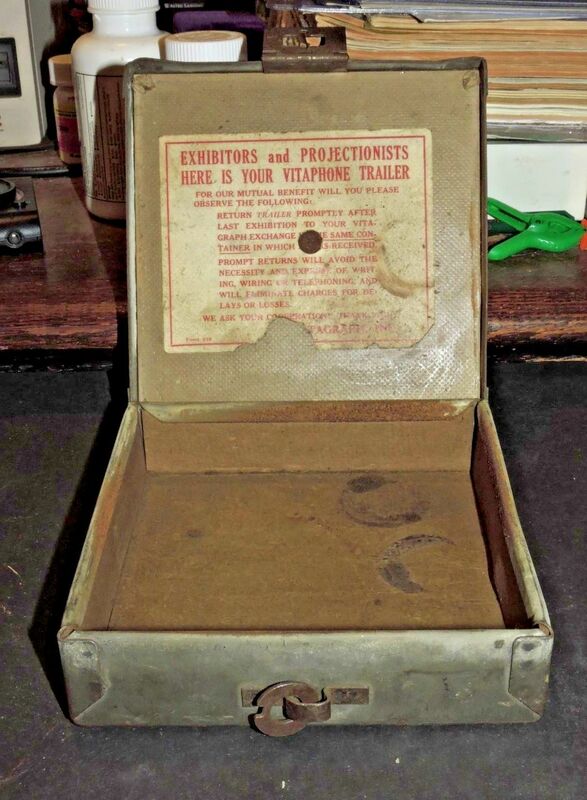 1929 BEN POLLACK VITAPHONE SHORT RESTORED! 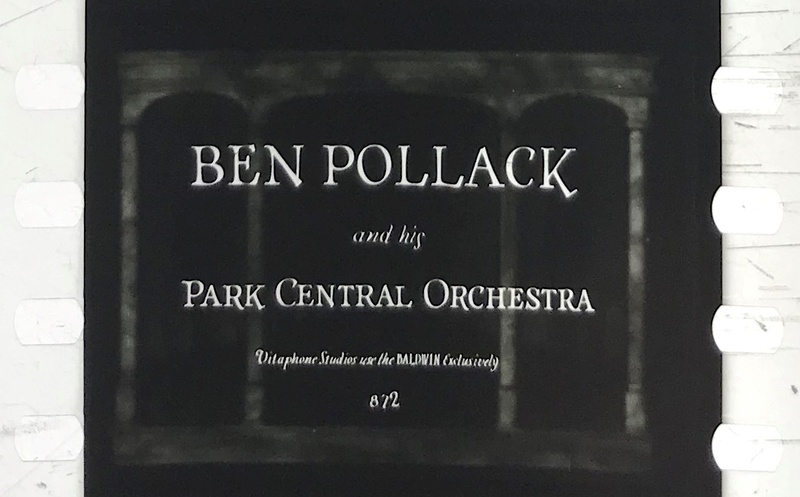 One of the five Vitaphone disks found in Connecticut in early 2018 was for the 1929 Vitaphone short, BEN POLLACK AND HIS PARK CENTRAL ORCHESTRA. The Library of Congress has held 35mm Nitrate picture for decades. 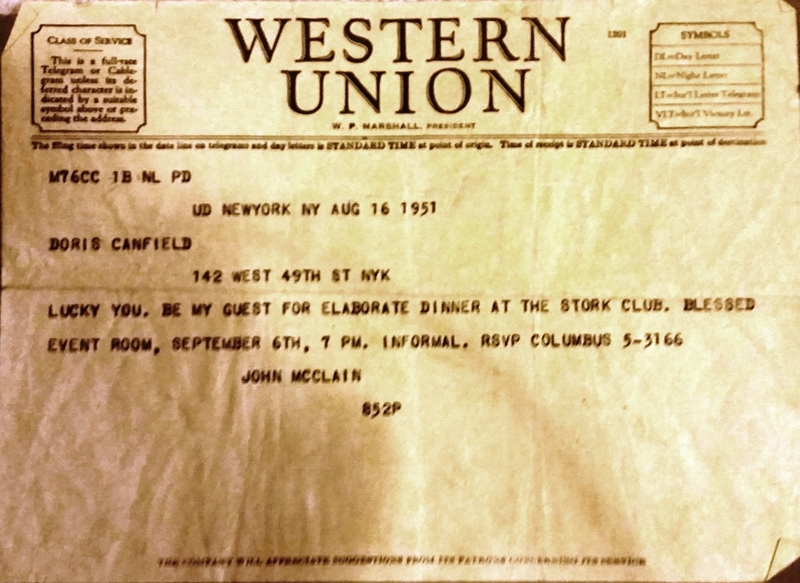 In the 1980’s, Jack Teagarden fan Joe Showler took on doing a restoration himself. He had a slightly defective disk and reduced the picture to 16mm. All at his own expense. Unlike modern restorations by UCLA or The Library of Congress, Showler’s effort cut off part of the left side of the picture to accommodate the new optical soundtrack. 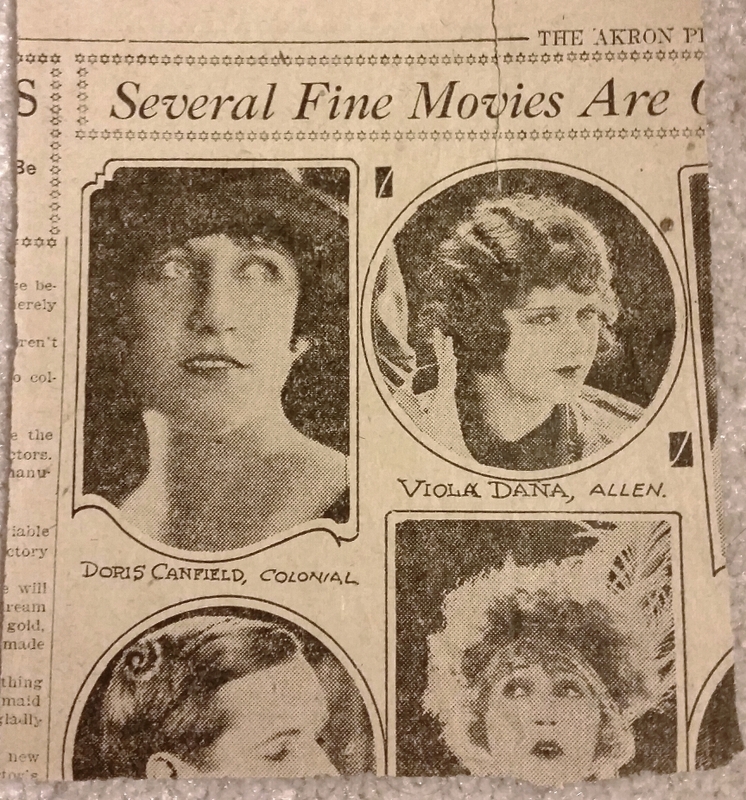 Today, the entire Vitaphone frame is reduced so no picture is lost. Nevertheless, his efforts were greatly appreciated at the time. When another disk was found in Connecticut in February 2018, it was in excellent condition and triggered the desire to have a proper restoration done on this important title. The Project worked with Geo Willeman at The Library of Congress. He verified that they indeed still had the original 35 mm nitrate . Next, the Project lined up the approximately $12,000 needed to perform the restoration. John Levin of The Antique Phonograph Society volunteered funds, and work began in late March. All work was completed by UCLA Film and Television Archive under the direction of Scott MacQueen. The Society plans to screen the restoration at its August 2018 Expo & Banquet. Two 35mm prints of the restoration were made, and they will be available for screenings at film festivals and other appropriate venues. 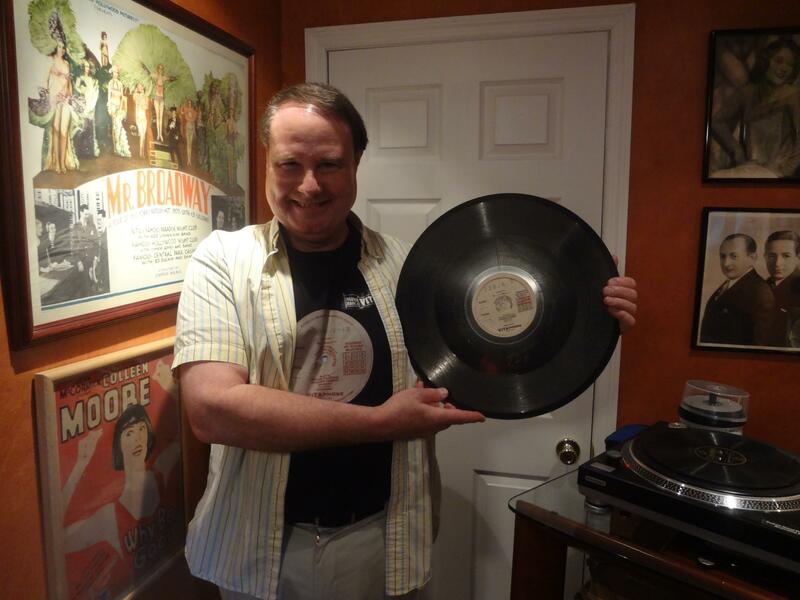 Ron Hutchinson finds Vitaphone Discs! 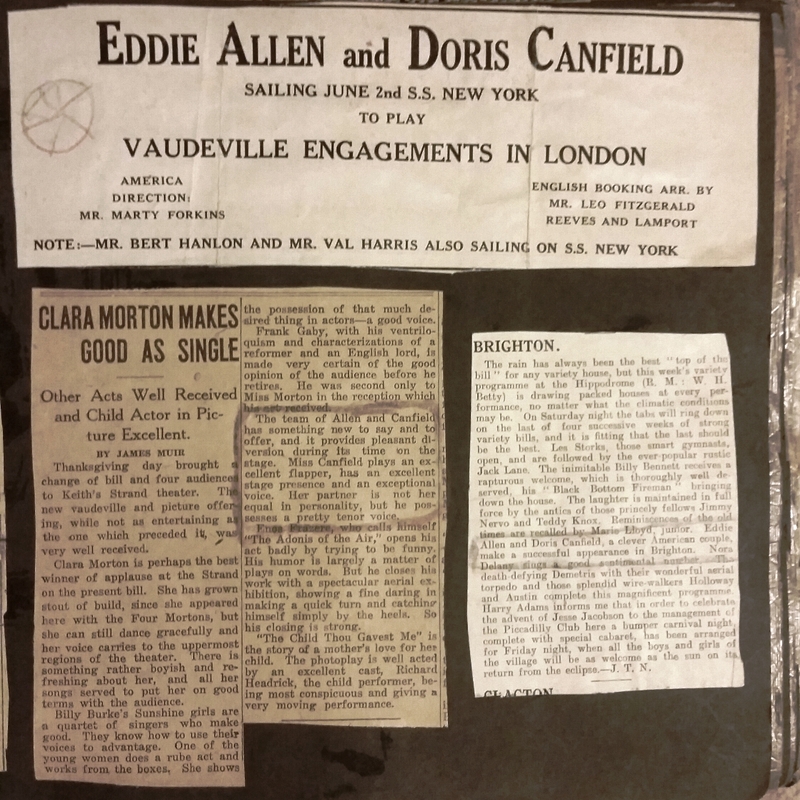 Vitaphone Project member Patrick Picking turned up a box of personal items belonging to Doris Canfield. 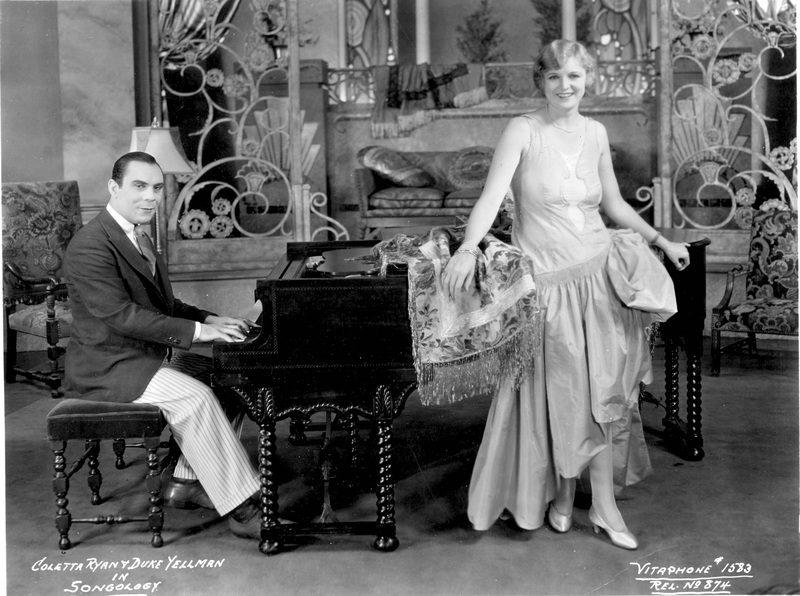 Doris appeared with her husband/composer Bert Hanlon in two Vitaphone short subjects, "BERT HANLON WITH DORIS CANFIELD (August, 1928), and "A LITTLE CONVERSATION" (September, 1928). 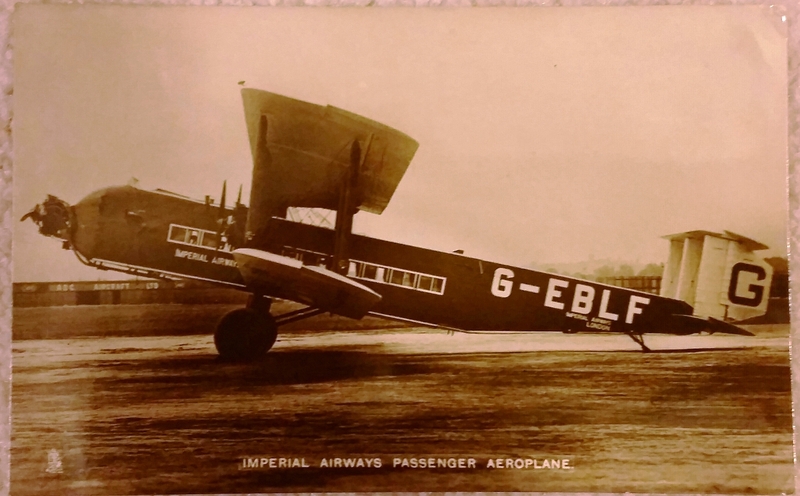 Both films are lost at this time, as well as the Vitaphone discs for them. 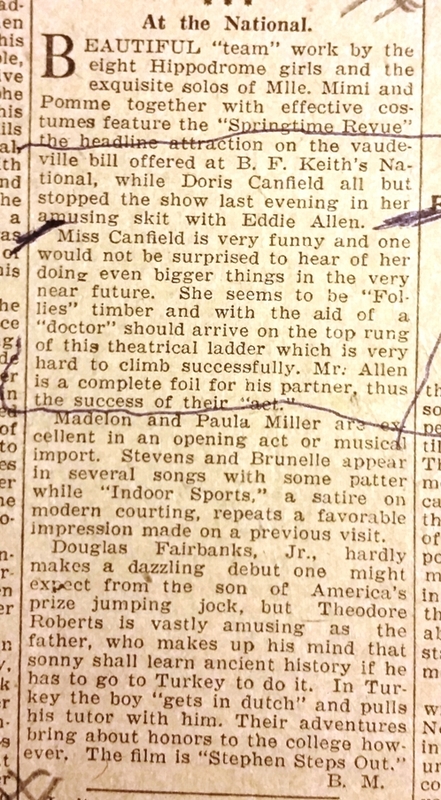 Patrick's sister-in-law told him a few months ago that her Aunt Doris had been on Broadway, vaudeville and movies. She had a box of her items and did Patrick want them? Of course he did! 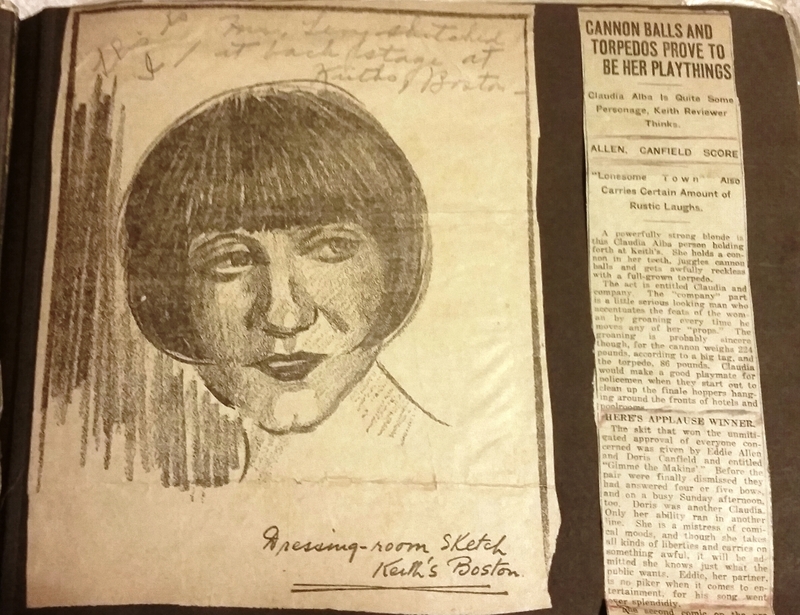 She gave Patrick a box which contained original photos of Doris Canfield and her husband Bert Hanlon, stacks of sheet music, a scrapbook of original news articles relating to her career, and more. 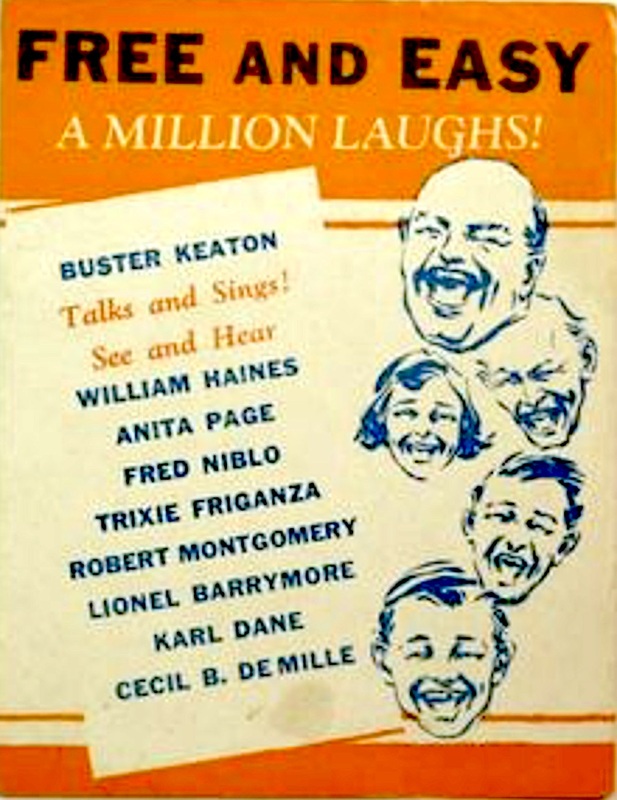 The Vitaphone Project always tries to track down relatives of performers and show them their relative's films. 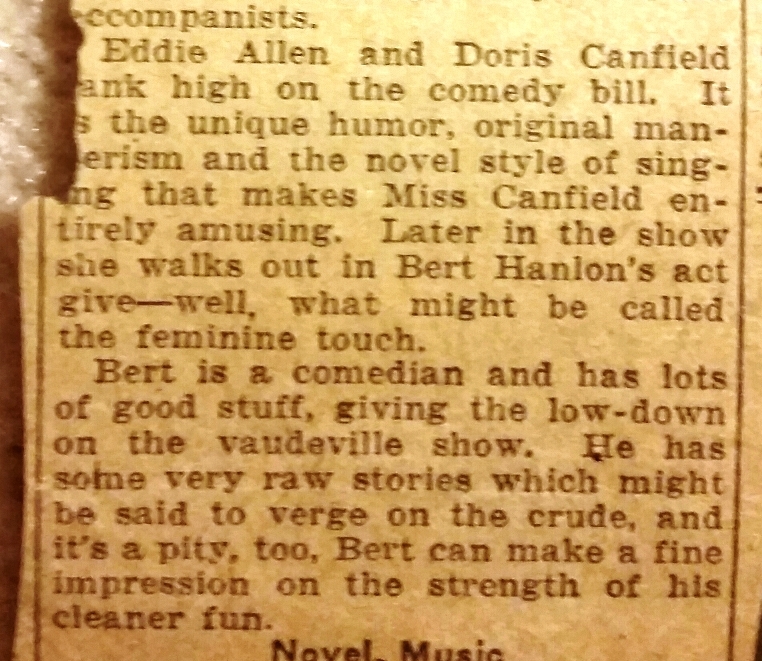 With all the glowing reviews of Doris' act with Eddie Allen we're hoping that her Vitaphone shorts with her husband Bert Hanlon will turn up someday so we can see how good she was for ourselves! 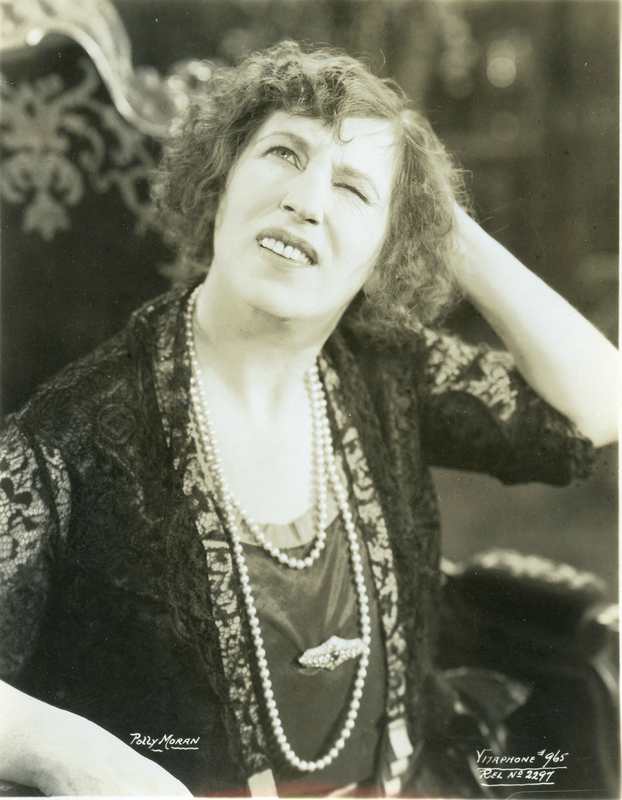 “Who the hell wants to hear actors talk?” said the soon to be answered Sam Warner of the Warner Brothers in 1925. When he saw and heard the Bell Laboratories demonstration of a talking picture apparatus later dubbed “Vitaphone”, he could think of only one thing: sell film music on disks and fire all those expensive musicians. From the beginning, silent pictures were never truly silent. Small theatres, often with folding chairs seating only a hundred patrons, usually accompanied the single reel films with improvised piano accompaniment. As theatres grew, so did the size of their musical aggregations. In the early days, there were no standardized practices for supplying music for films. 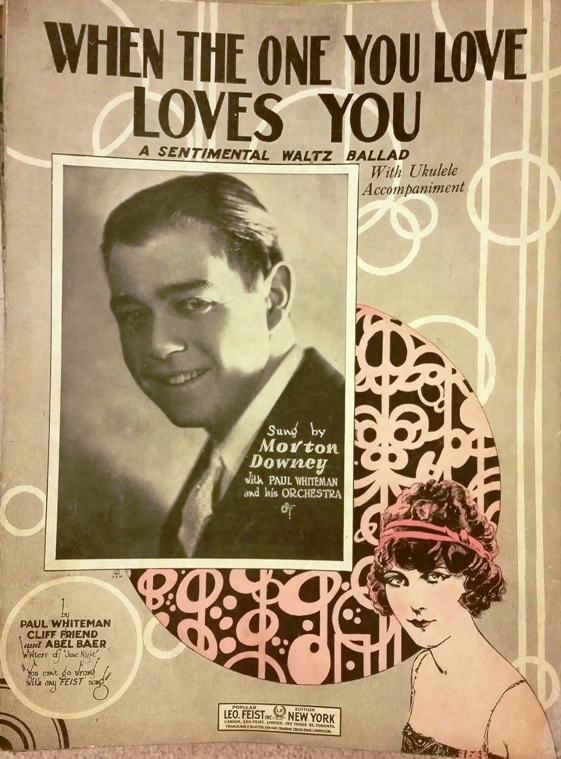 Initially it was drawn from vaudeville music libraries and popular songs. 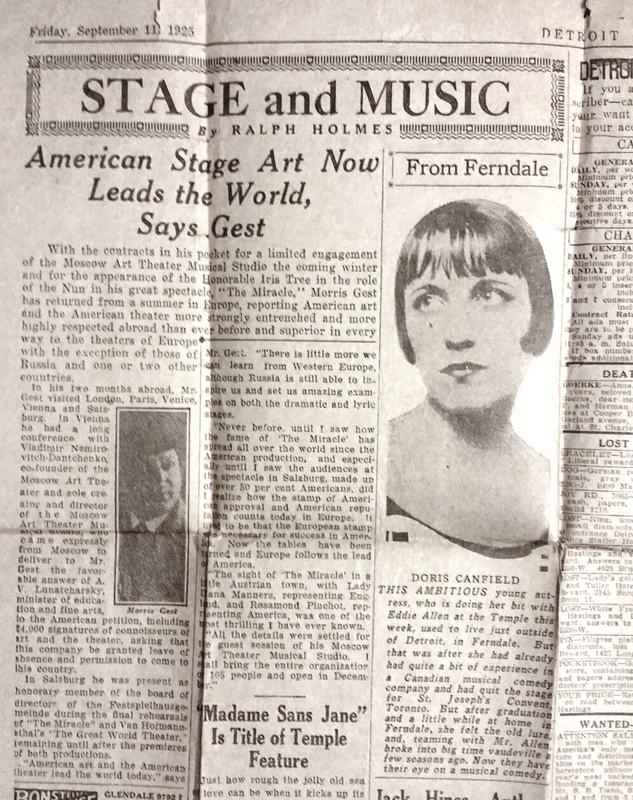 By the early 1910’s, publications emerged which provided music expressly created for motion picture accompaniment. 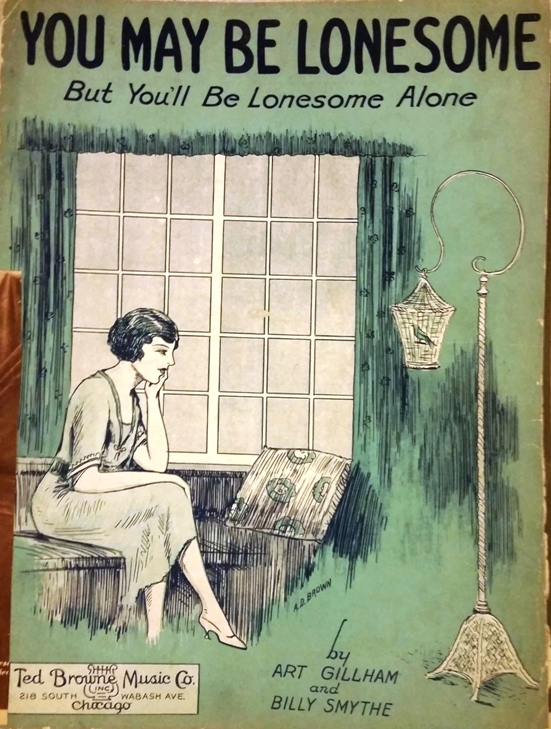 These compositions were grouped by mood --- romance, chase, struggle, danger, and dozens more. 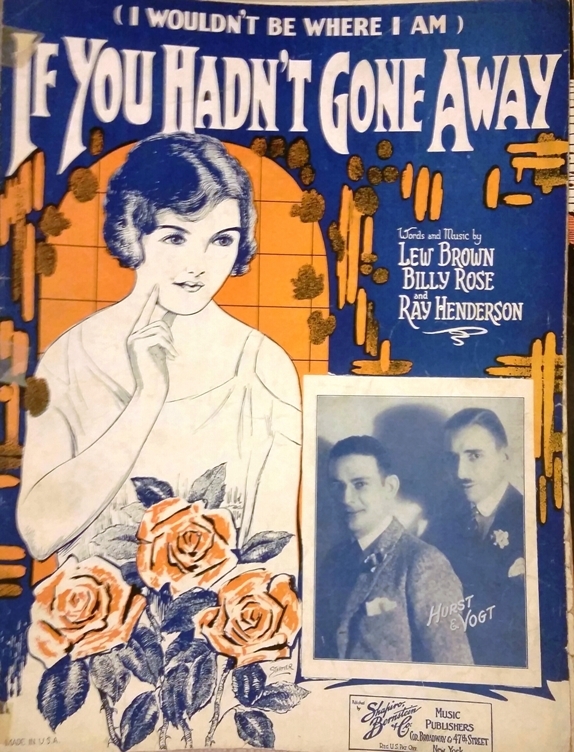 By using these published collections of genre music, dubbed “Photoplay Albums”, the theatre organists, pianists, or small orchestras could patch together a series of pieces that, with varying degrees of success, matched the action on the screen. 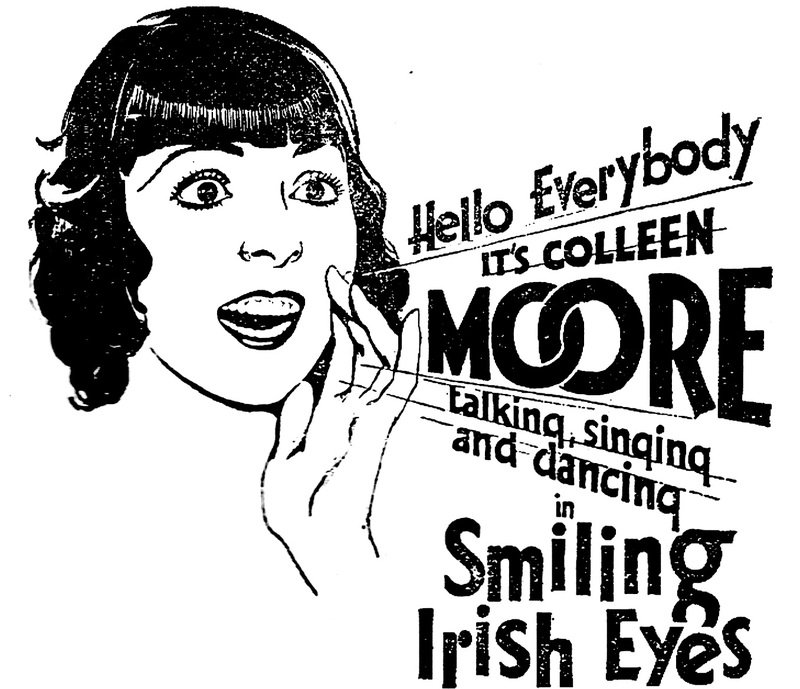 The next steps in the development of silent film musical accompaniment were cue sheets. These were specific for individual films and issued to theatres by the studios themselves. The earliest known cue sheets were provided by the Edison Film Company in 1913, and were provided for all of their feature films running five reels or longer. Mutual adopted the practice in 1917 and before 1920 it became the norm for all major studios. More elaborate and ambitious were full orchestral scores written for particularly prestigious feature films, issued by the releasing studio, and covering the entire length of the film. 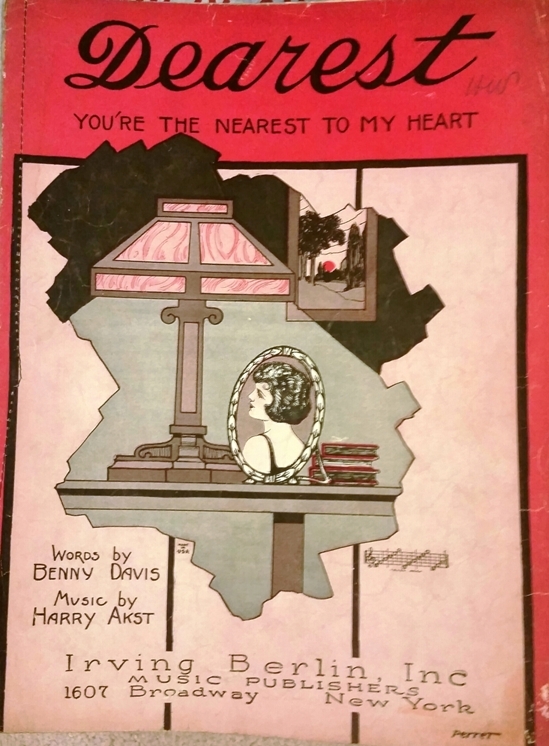 These original scores avoided the use of pre-existing music, and were customized with leitmotivs often specific to characters or places in the feature. Because of the cost and effort involved, original scores were limited to big budget releases and films from the most prominent stars and directors. Examples include D.W. Griffith’s THE BIRTH OF A NATION(’15), INTOLERANCE (’16), and HEARTS OF THE WORLD (’18). Chaplin features, and “specials” like THE IRON HORSE (’24) and NAPOLEON (’27) almost always received custom scores. For the rest, the studio-issued “cue sheets” had to suffice. 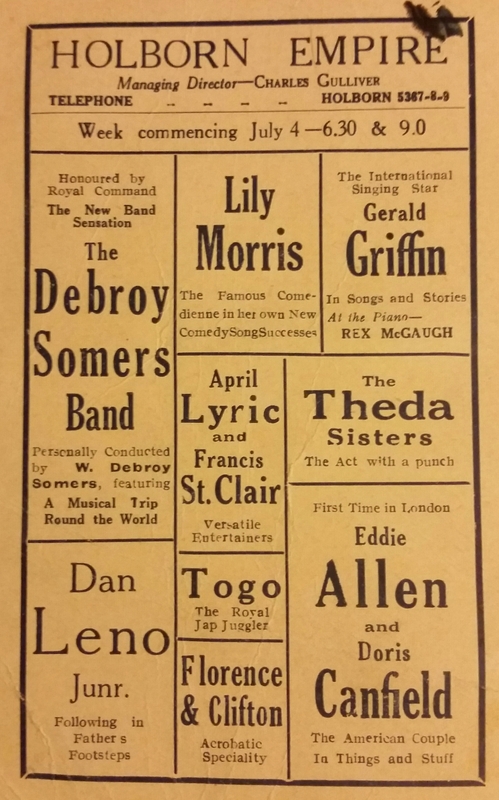 And by 1921 they were the most common source of theatres’ film music selections. 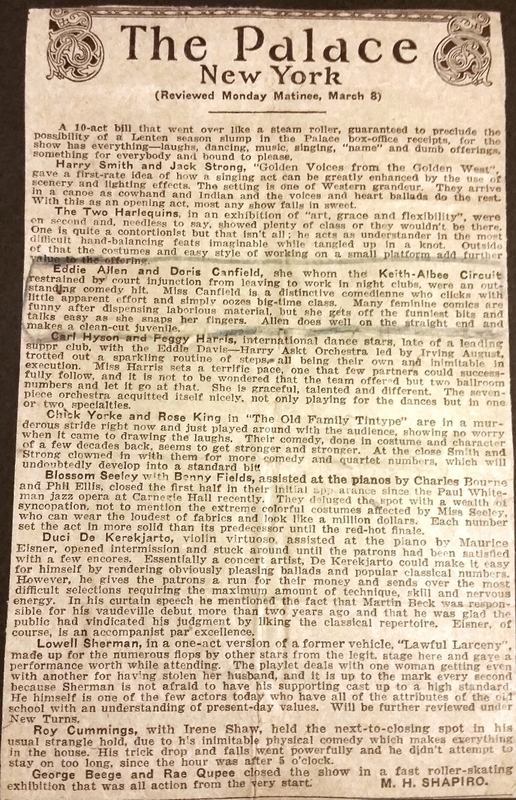 Some companies offered musical selections that were in the public domain or original compositions (labeled “free”) as well as copyrighted tunes for which a royalty would have to be paid. Cue sheets indicated when each musical selection should be played. Triggers to start the next tune were marked with a “D” for directions or actions on the screen, or “T” for a text or title card’s contents. 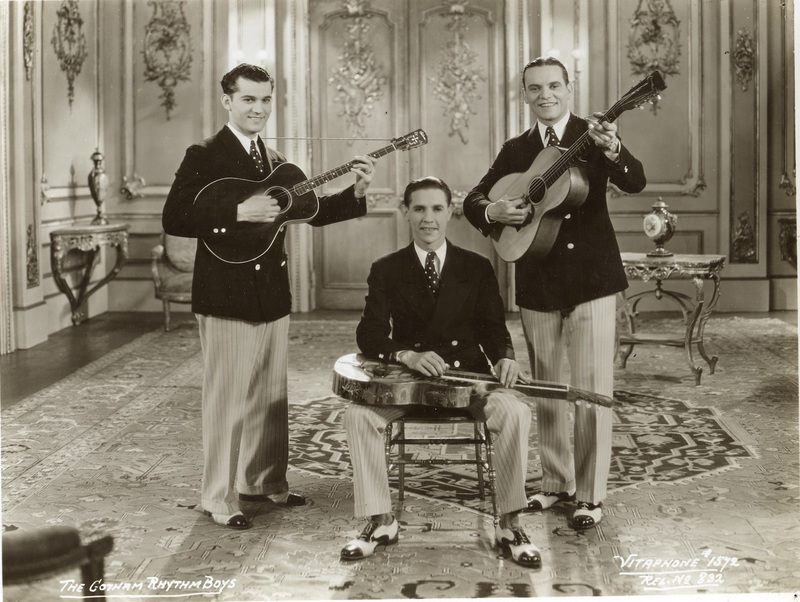 One for the Buster Keaton film SHERLOCK, JR. (’24), for instance, primes accompanists to stay tuned for the moments when a “man buys a box of candy,” or “man with black mustache leaves house.” The sheet recommends measures by Irving Berlin and “On the Mill Dam,” a banjo tune. 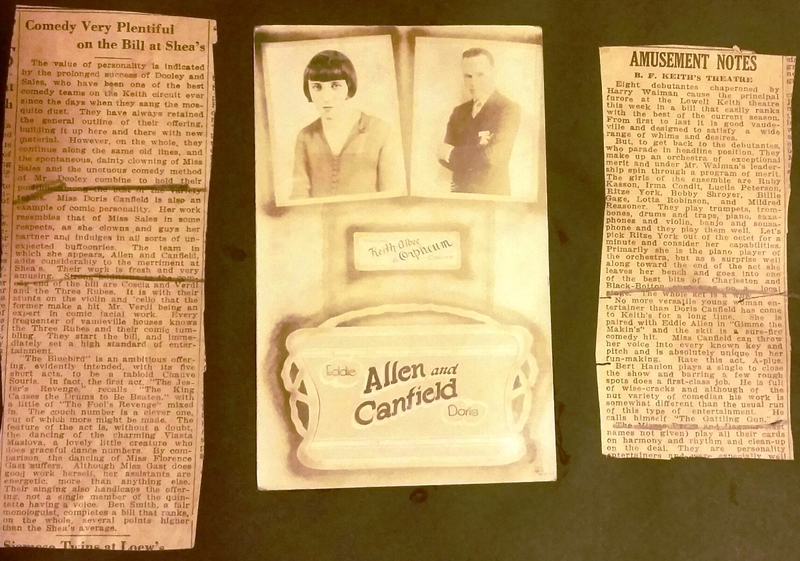 By the late teens, silent film accompaniment had developed into a profession. The early 1920’s saw the construction of increasingly huge movie palaces which could seat over 3,000 and whose ornate trappings competed with the films themselves. 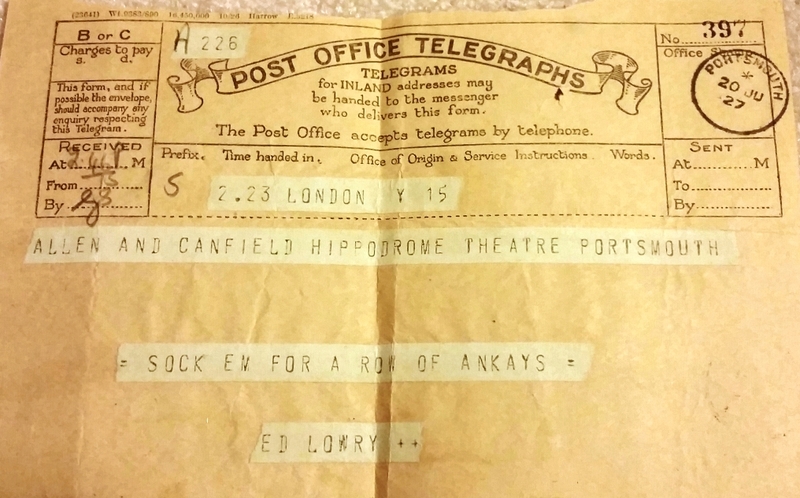 In the twenties, the largest theatres maintained orchestras of forty pieces or larger. And the movie palace music libraries grew massive, often filling entire rooms. 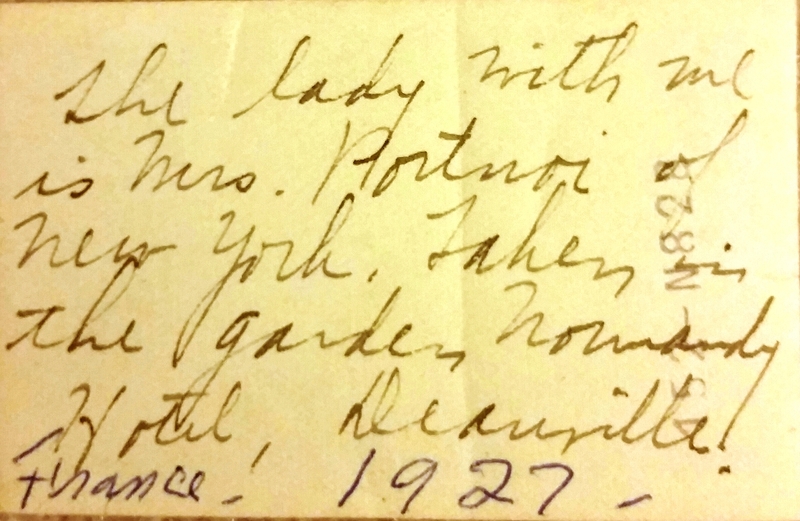 The Roxy theatre in New York bought Victor Herbert’s entire personal archive. And the library of film music of the Detroit Fox Theatre is still intact today, and is valued at over a million dollars. 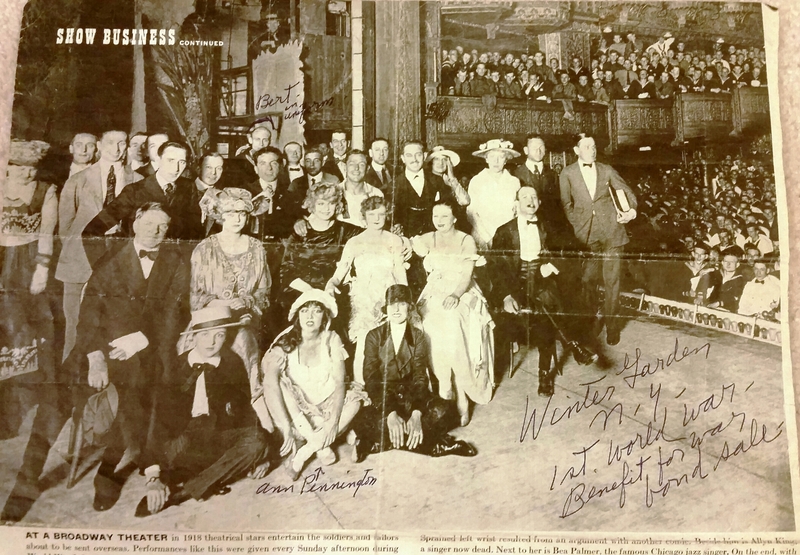 Whether they had an orchestra or not, Many theatres upgraded their musical abilities by purchasing a theatre organ. These elaborate mechanical marvels had the ability of not only filling the largest theatres, but also could mimic many orchestra instruments and provide sound effects (like chirping birds, auto horns, and sirens). 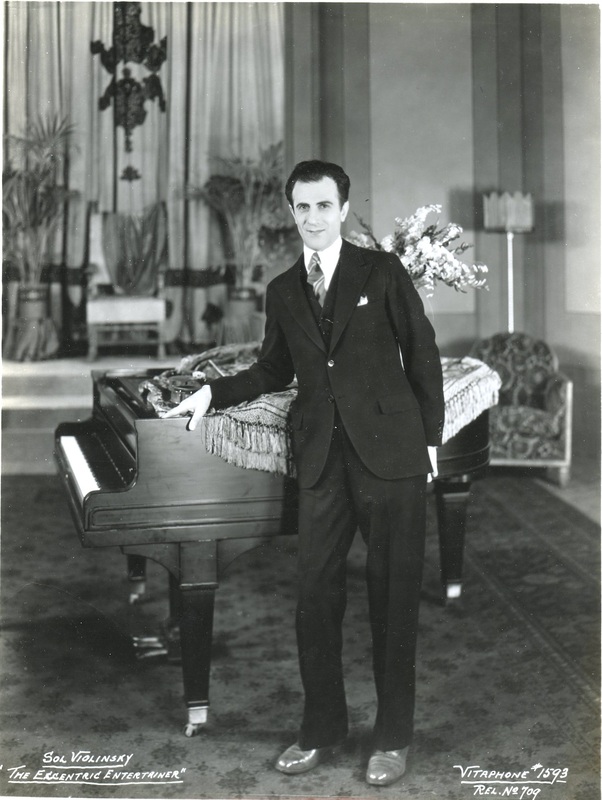 During their peak period of their manufacture --- 1918-1930 --- Wurlitzer supplied movie theatres with over 2200 organs, with competitor Robert Morton providing another 900. Runners- up Moller and Kimball shipped about 700 each. Many theatre organists at major movie palaces became celebrities in their own right. 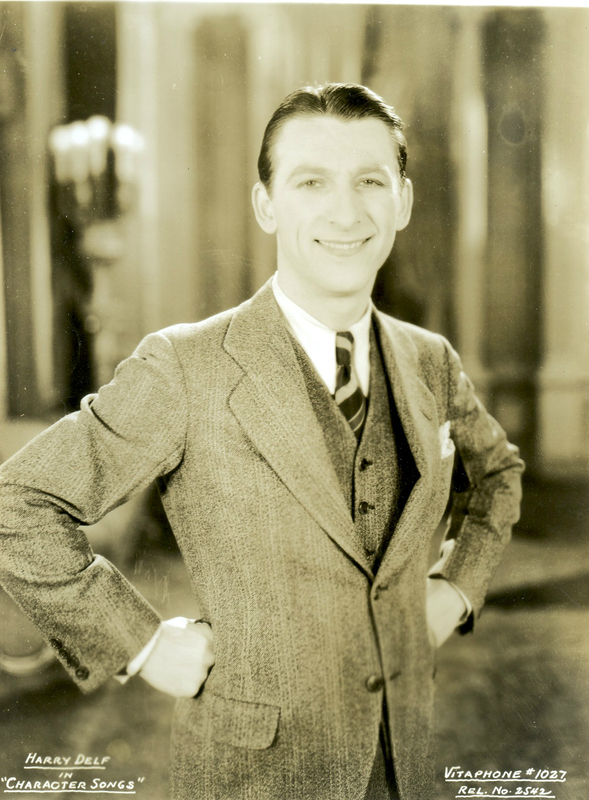 Most famous was Jesse Crawford, who also recorded dozens of Victor 78 rpm records and held forth at New York’s Paramount Theatre from 1926 to 1933 as well as extended bookings at Grauman’s Chinese and the Chicago Theatre. Some smaller theatres elected to purchase a stand alone photoplayer unit, which was an automated mechanical orchestra driven by paper rolls similar to those used in player pianos. Common sound effects like gunshots, bells, and sirens could also be triggered by pulling cords connected to those options. 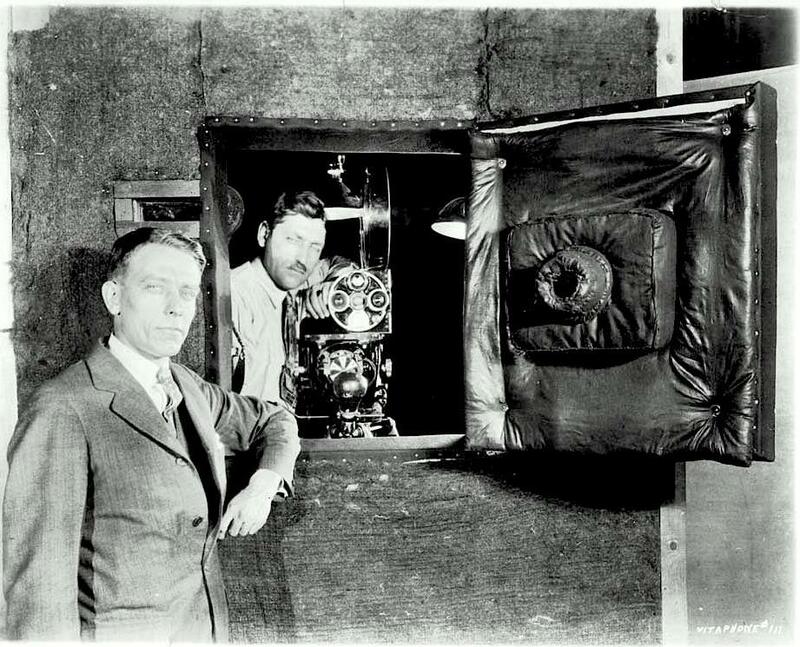 Between 8,000 and 10,000 Photoplayers were made and installed in theatres. 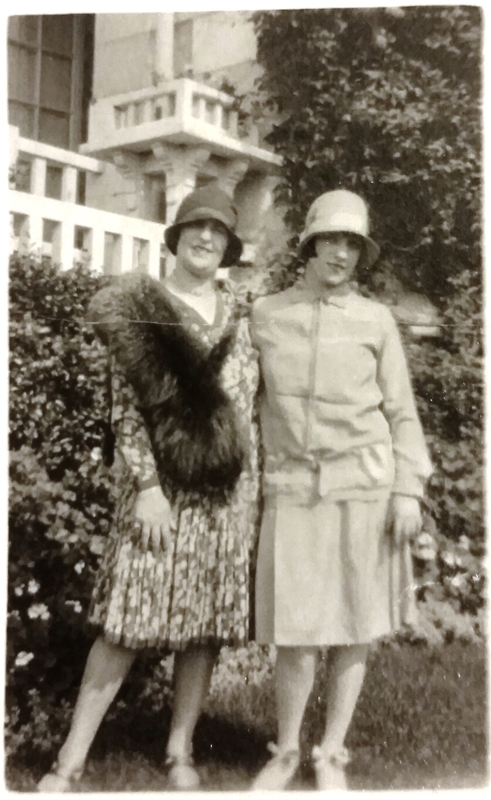 Their heyday was between 1918 and 1928, and they were produced by Seeburg (later of jukebox fame), Wurlitzer, and he American Photo Player Company. Few photoplayer units survive, but those that do still can still play their internal violins, xylophones, drums, and even woodwind instruments. By the mid-1920’s, it is estimated that over 50,000 musicians, many of the concertmasters, were employed in U.S. movie theatres. Film music was big business for composers too, ASCAP charged a 10-cent per seat per year fee for access to their massive catalog from fifty leading publishers. Theatres electing to use the “tax free” selections found that their choices were both limited and repetitive. 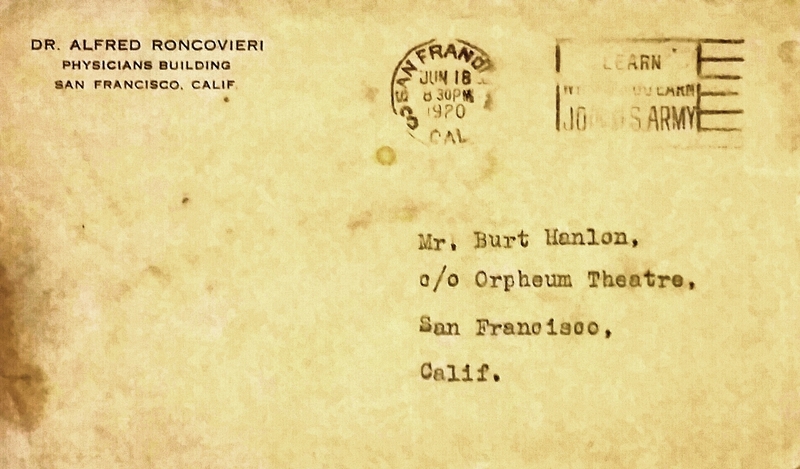 Pianist and later conductor Ernö Rapée began his theatre work as the assistant to the Rialto Theatre’s Hugo Riesenfeld, where he began composing and conducting for silent films. 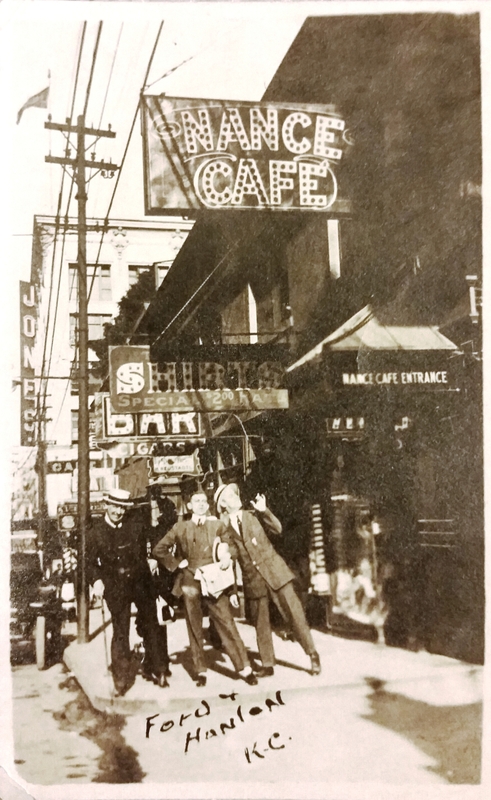 Following his stint at the Rialto and then the Rivoli, both in New York City, Samuel “Roxy” Rothafel hired him in March 1927 as the musical director of the Capitol theatre’s 110 member Roxy Symphony Orchestra. While at the Capitol, he also pioneered early orchestral radio broadcasts over Station WEAF as part of the “Roxy’s Gang” programs. Collaborating with Dr. William Axt, Rapee co-wrote countless photoplay music, which included a series of three Agitatos, and mood music titles such as “Frozen North”, “Appassionato No. 1”, “Debutante” and “Pollywog’s Frolic”. These compositions became standard fare in thousands of theatres worldwide. Rapee also expanded his activities by composing “theme music” --- recurring tunes associated with a film’s character --- such as Charmaine” for WHAT PRICE GLORY? 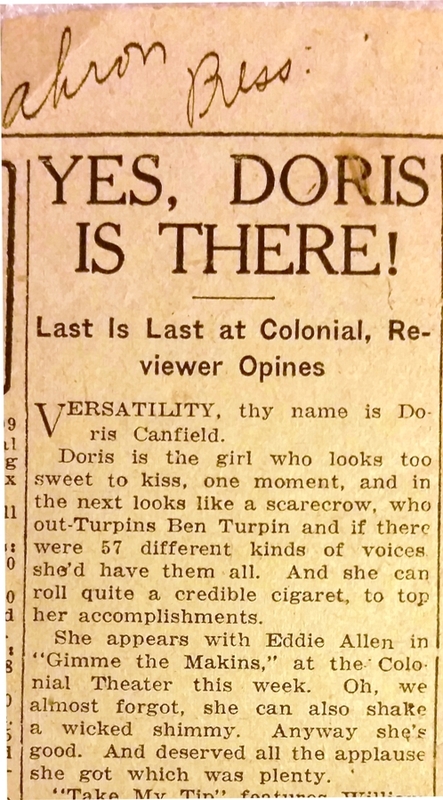 (’26), Diane” for SEVENTH HEAVEN (’27) and “Marion” for 4 DEVILS (28). Now, back to Sam Warner. 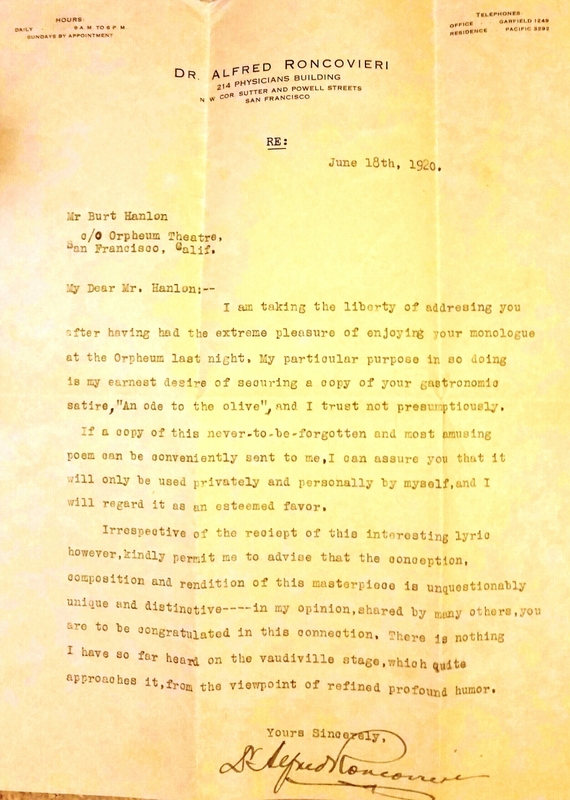 His comment to Bell Labs in 1925 of “Who the hell wants to hear actors talk?” was firmly answered by the public with his studio’s release of Al Jolson in THE JAZZ SINGER (’27). After debuting their silent John Barrymore feature DON JUAN (’26) with Vitaphone synchronized orchestra music and sound effects, the public spoke, and loudly.. 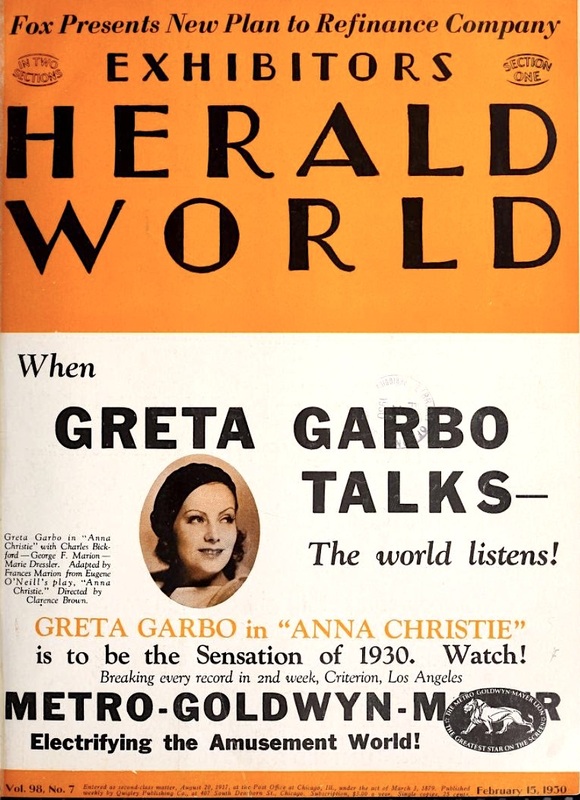 They liked the accompanying talking and singing shorts by operatic and vaudeville stars even more than the feature. 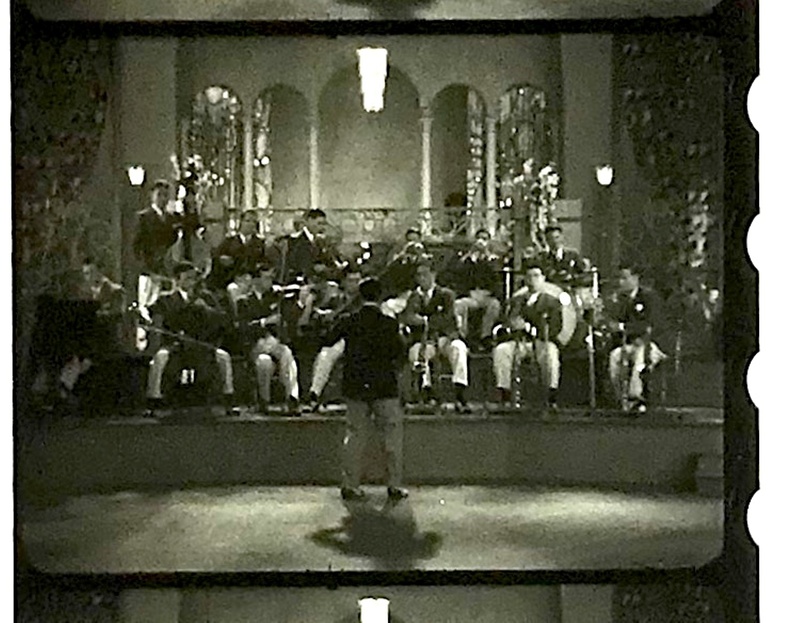 By mid-1927, every Warner Bros feature was shipped with a complete, synchronized Vitaphone music-and-sound effects score on a set of 16-inch diameter shellac disks. The writing was on the wall for live theatre musicians. Strikes broke out in 1927 and 1928, with musicians demanding guaranteed salaries even when a synchronized film was screened. 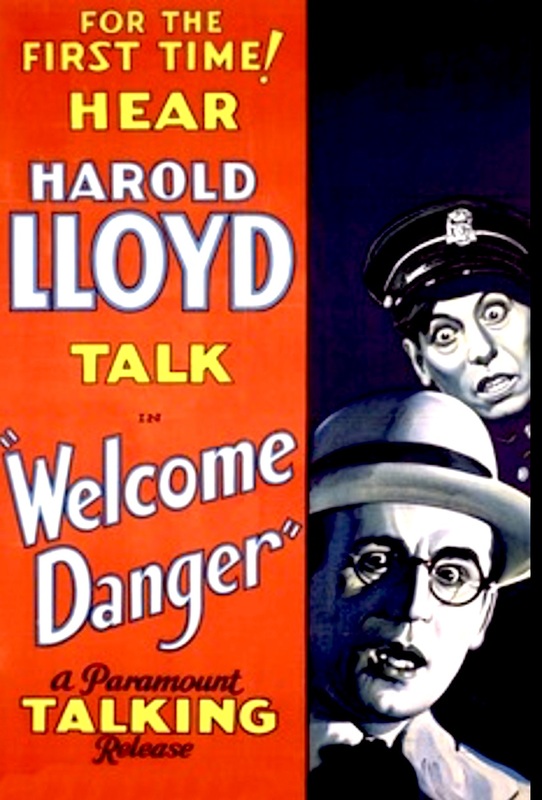 The transition to talkies continued at full speed during 1928. That August, the American Federation of Musicians renegotiated 150 of its theatre contracts. Pay remained the same, but the size of orchestras immediately began to shrink. 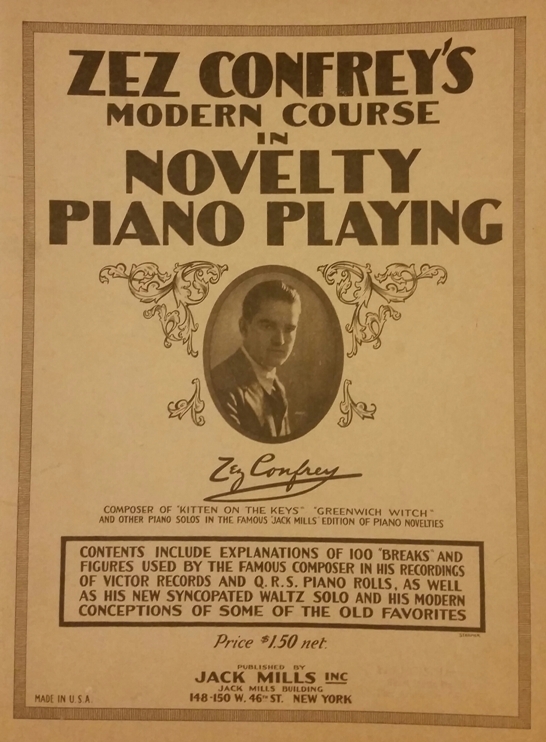 In the late days of 1929, film accompanists often found their work limited to playing an overture before the picture, or exit music after it ended. Then, even that ended, with major studios issuing their own pre-recorded Vitaphone disks with the same type music, even for intermissions. 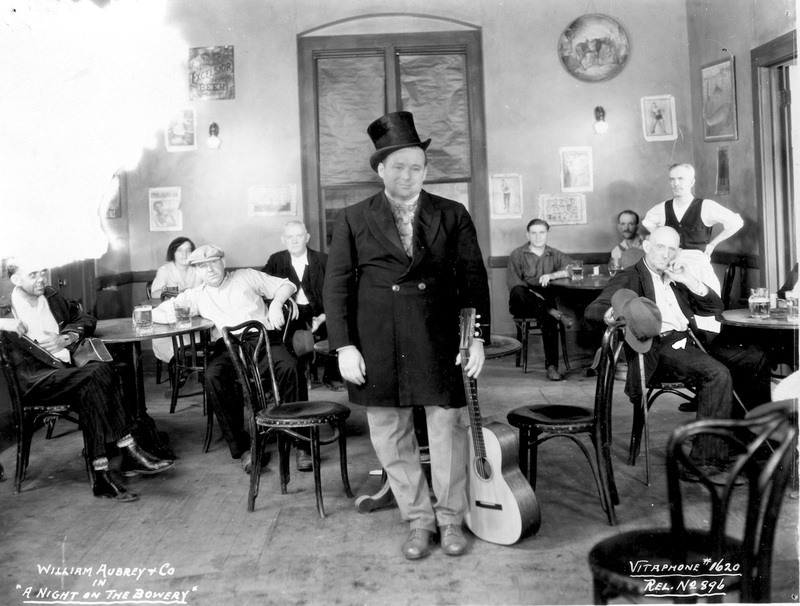 During 1929, the musicians’ plight worsened as virtually all-silent film production was phased out in favor of sound films. More and more theatres dropped live music, but sometimes retained their popular organists, to become what was termed “straight sound houses”. 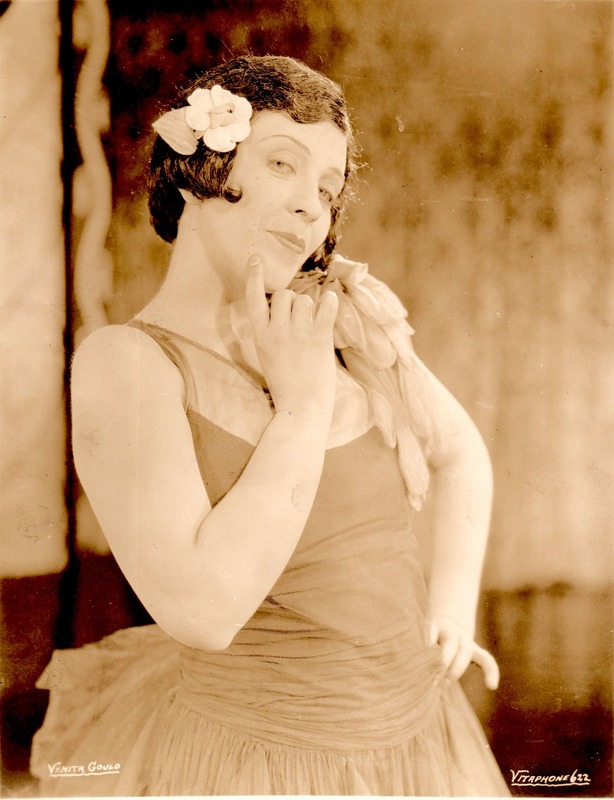 By late 1929, the Musical Mutual Protective Union claimed that 35,000 theatre musicians were unemployed. 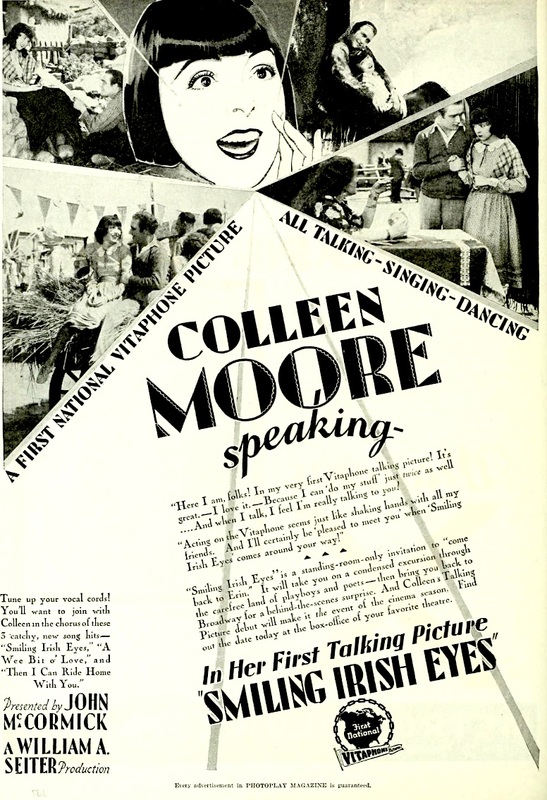 The first talkie picture of major stars as always an event. While those films were likely not one of the star’s best, that really didn’t matter. The public wanted to HEAR what their favorites sounded like. 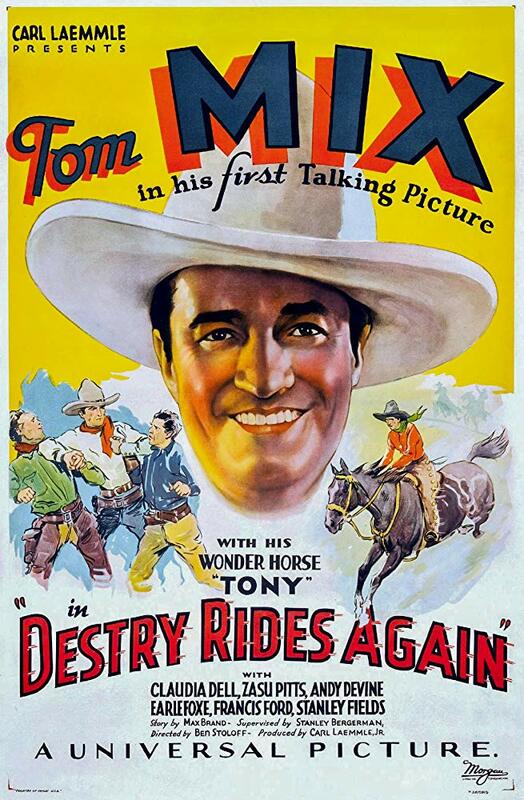 Studios wisely promoted the first talkies of stars, and here are some examples. 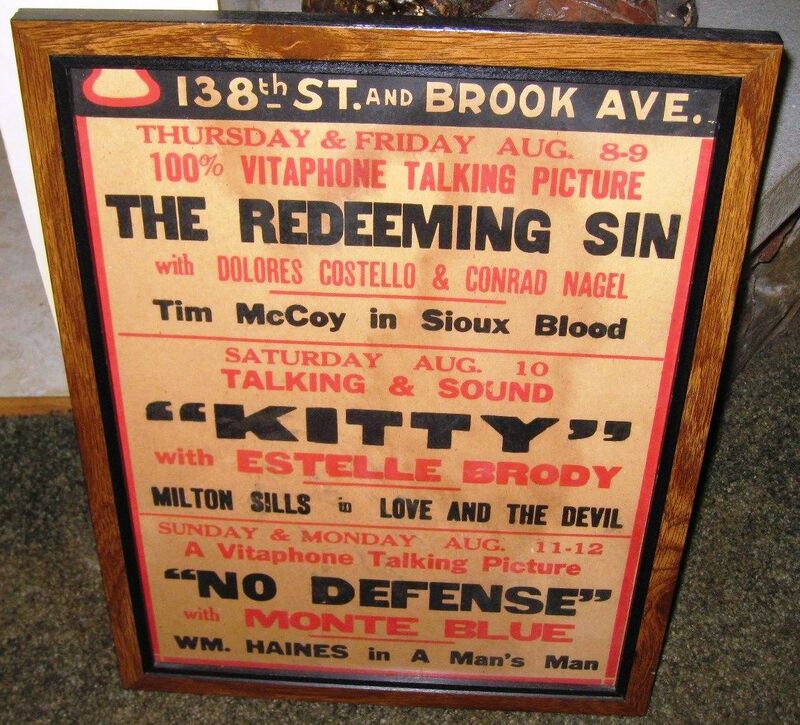 Bill Cappello as a longtime friend of The Vitaphone Project almost since its inception in 1991. 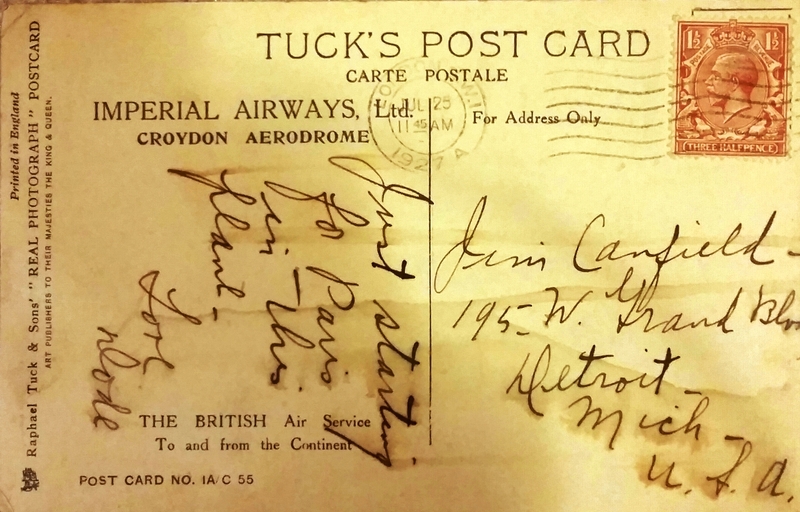 Bill had a gift for tracking down the surviving relatives of old film performers. 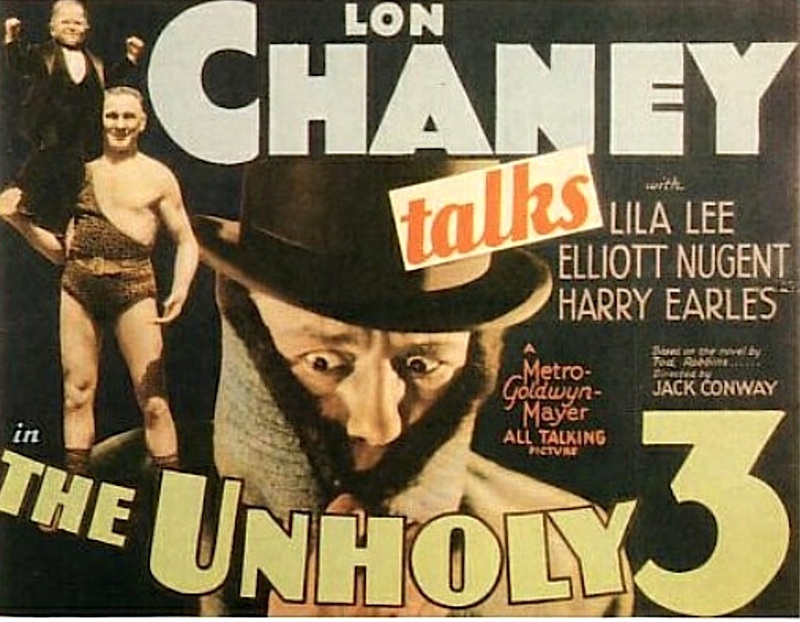 He was legendary in finding even the surviving performers themselves, especially for the Three Stooges Fan Club. 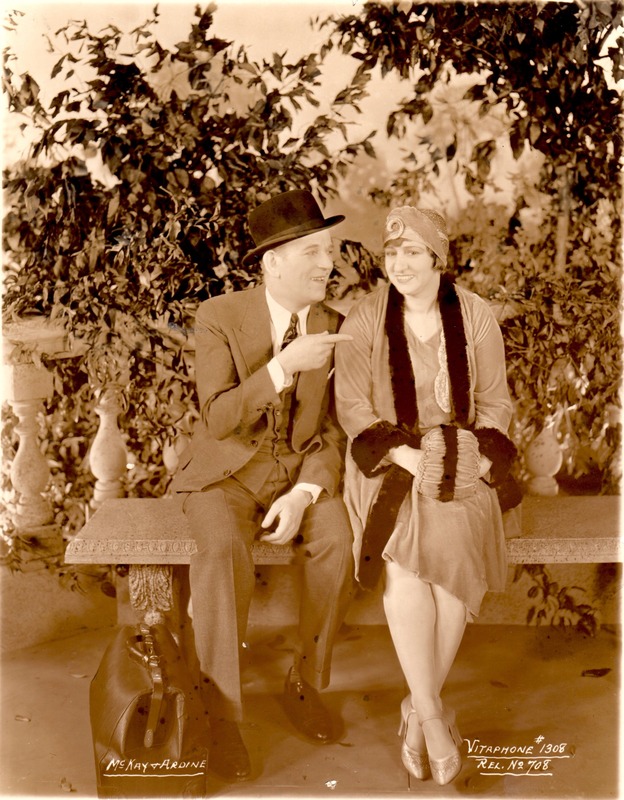 Over the years, he found Miss Crabtree (June Marlowe), and countless Vitaphone star relatives. These included the grandsons of Shaw & Lee and relatives of Zelda Santley, Jack Waldron, Willie & Eugene Howard, and Jack Osterman. Sadly, Bill passed away in early August after his valiant battle with cancer. Thirties starlet Mary Carlisle passed away at age 104 in August 2018. 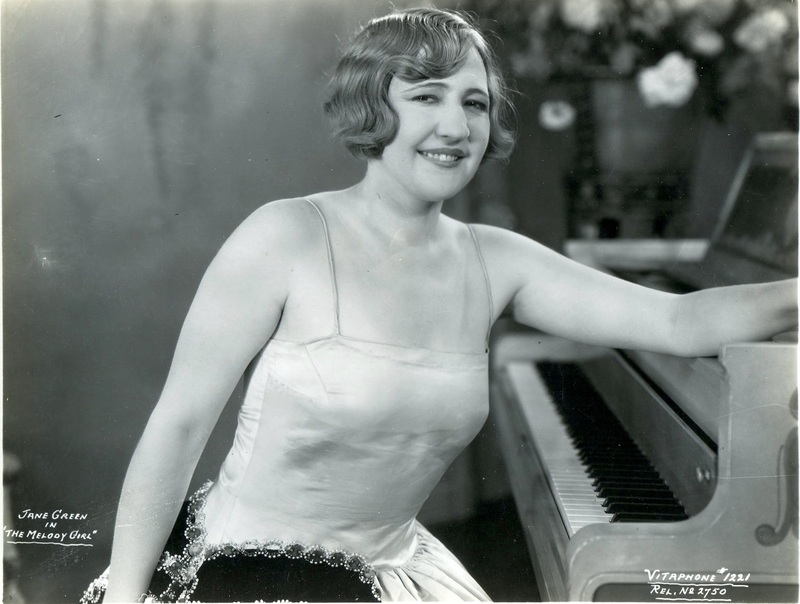 While to our knowledge she was not in any Vitaphones, she appeared in the 1930 MGM Colortone short THE DEVIL’S CABARET, many Paramount musicals with Bing Crosby, and other B features at that studio. 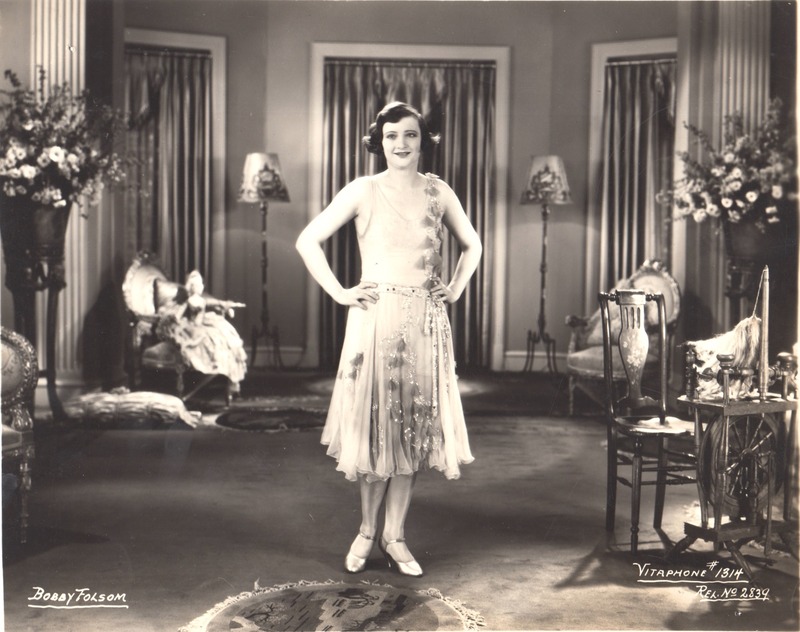 She is a delightful love interest to Bert Wheeler in Wheeler & Woolsey’s 1934 RKO feature KENTUCKY KERNELS. Her long life enabled her to enjoy many accolades and admiration of her career. NEW DVD WITH RESTORED EARLY EDISON KINETOPHONE TALKIES! In 1913, the Thomas Edison Company made talking pictures using a sound-on-cylinder system called The Kinetophone. 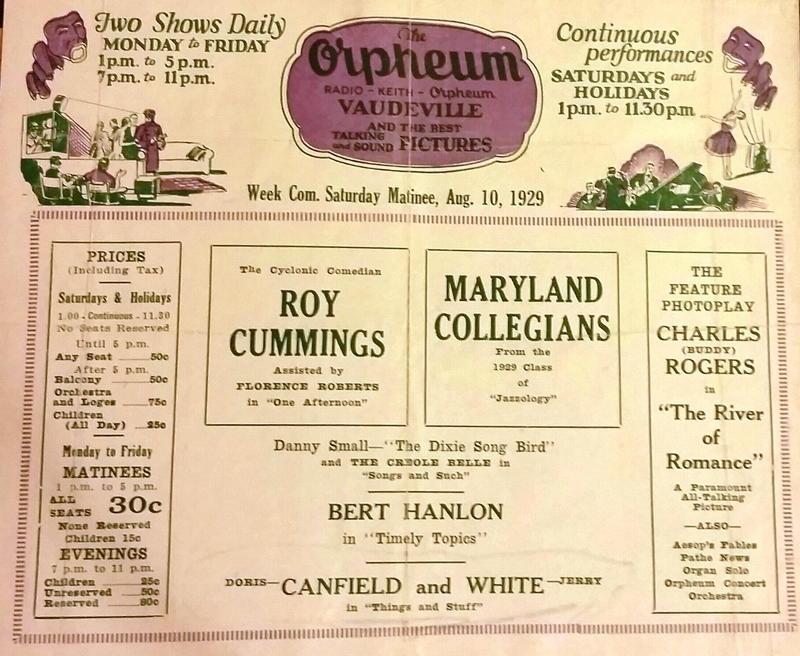 These pioneering sound movies were shown in theatres for about a year, and featured vaudeville acts, comedy sketches, dramatic scenes and musical performances. Only 8 of the 200 Kinetophone films made survive in both film and cylinder elements, and these have now been digitally restored and synchronized by the Library of Congress, and are presented here for the first time in 105 years. The Films (all 1913): The Edison Kinetophone, Musical Blacksmiths, Nursery Favorites, The Deaf Mute, The Edison Minstrels, The Five Bachelors, The Old Guard, and Jack's Joke. Bonus: "So Amazingly Perfect They Are Really Weird" (2018), mini-documentary on the Kinetophone films' history, technology and their restoration; The Politician (1913), a Kinetophone film whose sound cylinder is still lost, presented here with a musical score by Ben Model. 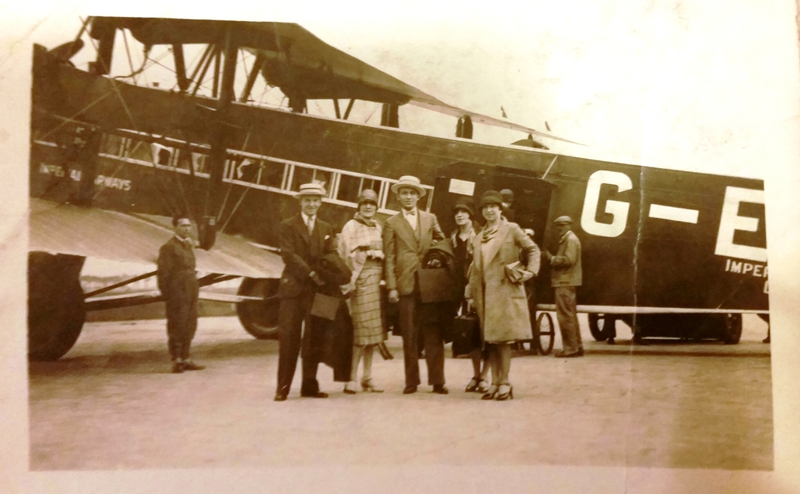 MORE RARE 1920’s VITAPHONE SHORTS STILLS FOUND! In many cases rarer that soundtrack disks, original 1920’s Vitaphone shorts stills nevertheless continue to turn up periodically, often in groups of 4 or more. Here are some recent finds. 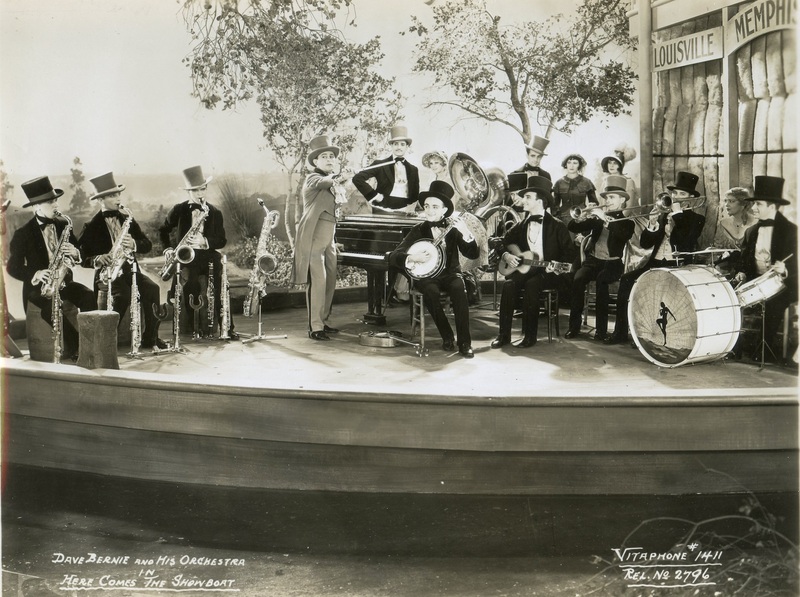 The Vitaphone Project’s Facebook page now boasts 2,900 members and has multiple new posts every day. In addition to film clips, stills, posters and discoveries, the site also announces new DVD releases and inquiries from its members.